Doha, Qatar, January 21, 2019: Al Khalij Commercial Bank (al khaliji) P.Q.S.C, in Qatar, released its consolidated financial statements for the year ended 31 December 2018 today with a Net Profit of QAR 608 million. Directors of al khaliji during its meeting held in Doha on 20 January 2019. 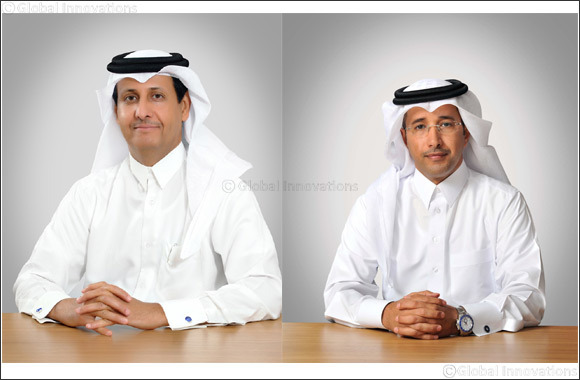 The figures are subject to Qatar Central Bank’s approval and AGA endorsement. “2018 was another year of success for al khaliji. Despite all the challenges, the Bank’s strategy and successful business model have enabled us, once again, to deliver strong results. We continue to be well positioned to benefit from the economic expansion in Qatar that will remain robust and we look forward to a very successful 2019. We appreciate the confidence of our shareholders and remain committed to continuing to deliver robust growth and consistent returns”. “2018 has been a good year for al khaliji, and our efforts have resulted in the bank earning a net profit of QAR 608 million, which is a 10.5% increase compared to 2017. These results are a culmination of better balance sheet management, focusing on improving margins, containing cost of funding, maintaining cost efficiency and strengthening our capital and funding positions. These results reflect our strategy of continuing to invest in the local economy, and supporting our local clients while we continue to grow our franchise in Qatar. We have divested non-core overseas assets, therefore although the total average asset base of the bank reduced our operating income as a percentage of total average assets increased. This is in line with our strategic goal of sustainable earnings. Throughout 2018, as part of our risk management activities one of the key priorities was active remedial management of weaker credits and the introduction of IFRS9. These efforts have resulted in a 40% reduction in impairment charges taken compared to 2017. During 2018, we also continued to review our cost base, reducing the Groups operating costs to QAR 329m to deliver an efficiency ratio of 28.8%. We also successfully raised $ 500 m under the banks EMTN program, further strengthening our funding position. The issue was oversubscribed by more than 3 times and tightly priced, exhibiting the faith of debt investors in the bank’s performance and direction and the underlying strength of the Qatari banking sector. This will support long-term growth. Our Liquidity Coverage Ratio (LCR) and Capital Adequacy Ratio (CAR) remain well above the minimum levels required by the Qatar Central Bank. Our Balance Sheet remains strong and liquid with 30% of Total Assets comprising cash and high quality investment securities. al khaliji remains active in the community that we serve, contributing to various associations/charitable institutions through donations and staff members voluntary work. We will continue to remain active within the community during 2019.